Celebrate with the Sci/Why Crew! 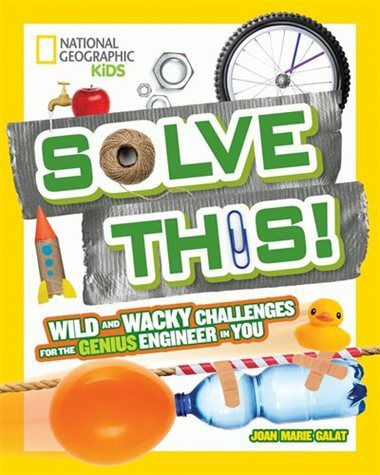 Joan's new book is Solve This! Wild and Wacky Challenges for the Genius Engineer in You (National Geographic Kids). 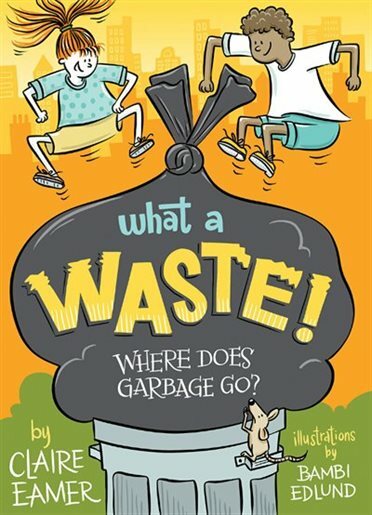 It was the number one new title on the Amazon.ca list: Children's How Things Work Books. 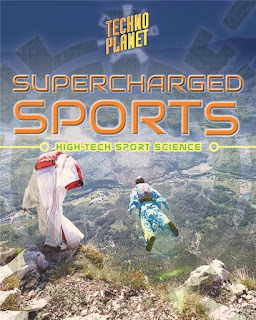 2018 - AAAS/Subaru SB&F Prizes for Excellence in Science Books - Middle Grade Category, shortlisted. More than 4000 copies of a special edition will be distributed to American schools by Subaru! Claire's non-science picture book, Underneath the Sidewalk, has also been shortlisted for the 2018 Shining Willow Award (Saskatchewan Young Readers' Choice). 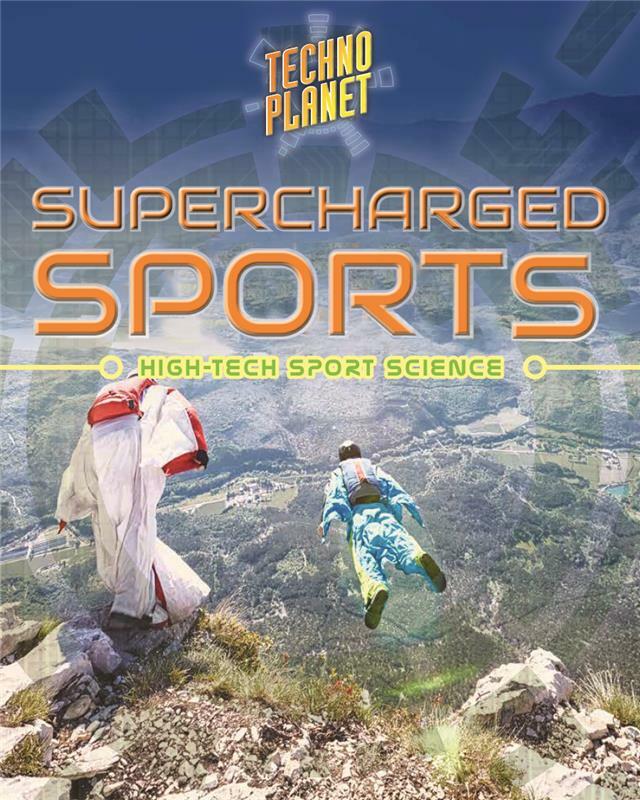 Paula is celebrating two new releases from Crabtree Publishing: Supercharged Sports and Tech Industry. Catch her at the When Worlds Collide festival in Calgary this August for all the details! She's also edited three collections of articles for Greenhaven Publishing: Online Filter Bubbles, Student Loans and the Cost of College, and The Armenian Genocide, and completed a practicum at the University of Victoria's Electronic Textual Cultures Lab. Margriet will be visiting an international school in Egypt and is looking forward to visiting mummies and pyramids. We hope she blogs all about it! 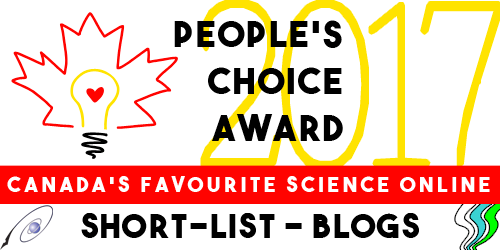 Helaine's Monster Science was a finalist for the Silver Birch Nonfiction award. She's also looking forward to launching Counting on Katherine on June 23 at the Ontario Science Centre. Lindsey is thrilled to be working on her first science book for Kids Can Press! She's also recently returned from Hawaii, where she had a great time swimming with endangered sea turtles, learning about Hawaiian ethnobotany (traditional uses of food and medicine plants), and avoiding angry volcanoes. There are many sites around the world monitoring seismic tremors from earthquakes and volcanic activity. Scientists are using seismometers to measure when and how much the ground is shaking. The answers are "often" and moderately" on the island where I live in British Columbia! But data from any one place is not really enough on its own. What makes this information much more useful is when seismic stations share their data in networks. When scientists study and compare measurements from many sites in one region, or even around the world, they learn important things about what's happening under our feet in what looks like solid rock. Since I live in an earthquake zone, it's really interesting to learn about the Pacific Northwest Seismic Network, which has a website friendly to citizen science fans. This network is run by the University of Washington and the University of Oregon. While most of the other scientific groups contributing to this network are American, there is participation also by Canadian seismic stations. Earth tremors are truly an international issue. Check out their website at this link. This website's maps of seismic tremors are constantly updating all the time! They use information from seismic sites in Washington State, Oregon, northern California, and the coast of British Columbia. I like to look at their interactive map, which has settings that can be changed to show more information from more sites, or fewer. Also interesting is their Hourly Tremors map, which is simpler -- it can show tremors during the last three hours or up to the last two days. Whenever I want to know more about current volcanic activity along the nearby Pacific coast, I look on this website. If a local tremor is reported, I can check to see if it's part of a series of tremors moving north or south near the island where I live. And whenever someone tells me they don't have any emergency preparations in case of a big earthquake, this is where I send them to learn more about how many little tremors are often happening around here. Being prepared for an earthquake emergency makes sense, and maps like these help me understand I'm making sensible preparations. They also help me not get too fussy. 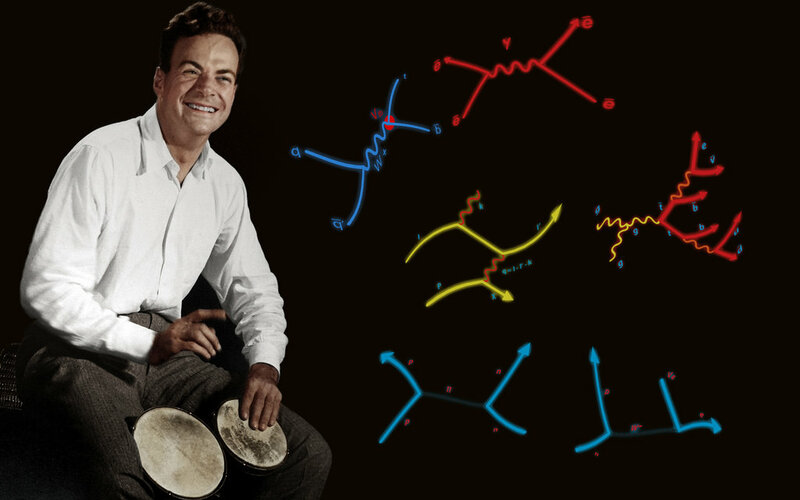 Richard Feynman was born 100 years ago, on May 11, 1918. He was one of the best physicists of the 20th century. He was famous for winning a Nobel prize for quantum physics; for helping develop the atomic bomb as a member of the Manhattan project; for being a brilliant physics teacher, and for playing the bongo drums. Maybe a little less well-known is that he's regarded as being the 'godfather' of nanotechnology. He taught physics at Caltech (California Institute of Technology, in Pasadena, which is famous not only for being where The Big Bang Theory guys work). The godfathering happened there, with a talk that Feynman gave in 1959, called There's Plenty of Room at the Bottom. In it, he mused about "the problem of manipulating and controlling things on a small scale" and its potential. He talked about the state of the art of miniaturization. How there were electric motors the size of a small fingernail and how the Lord's Prayer could be written on the head of a pin. He dismissed these as primitive. 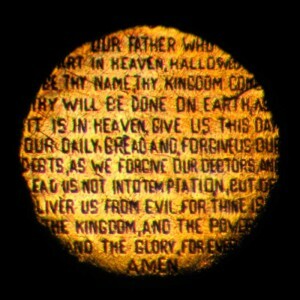 Graham Short spent 300 hours engraving this. Feynman's challenge was to write the entire 24 volumes of the Encyclopedia Britannica on the head of a pin, and produce an electric motor that would fit inside a cube 1/64th inch wide. Being Feynman, of course, he'd worked out all the math and showed that was certainly feasible. Then he went further and showed that if you didn't limit yourself to writing the information on the surface of an object, that all of the published books in the world could be written in a cube of material one two-hundredth of an inch wide! His point was, that as you get to the atomic scale, there's not just room, but plenty of room down there. Feynman identified that a major barrier to miniaturization was that the then state-of-the-art electron microscopes weren't good enough. He called for an improvement in magnification of 100 times. In 1981 the Scanning Tunneling Microscope (STM) was developed which was able to 'see' individual atoms. The STM works because of the quantum tunnel effect. The tip of a scanner goes back and forth very close to the surface of the sample. Electrons jump the gap from the sample being scanned to the scanner tip, even though they "shouldn't" have enough energy to do that. But the Heisenberg uncertainty principle shows that there is a small probability that they will, so a small number of electrons do just that. And the resulting electrical current is measured, revealing where the atoms are. As the scanning tip gets closer to an atom, the current increases. Feynman went on to muse about how miniaturizing would be necessary to build computers powerful enough to do interesting and complex tasks. He gave face recognition as an example, and stated that with existing technology, a computer powerful enough for that would have to be the size of the Pentagon. He would have been thrilled to see the new iPhone X - small enough to fit in your pocket and using face recognition to allow access to only the owner. He discussed how we might use tiny machines, and talked about the possibility of medical surgery by nano scale robots. That hasn't happened yet, but it's an enormously popular research field, and some applications are close. Feynman talked about two possible ways of building things at the atomic scale. The goal of nano-physicists would be to assemble materials by building them directly using atoms as building blocks. He suggested that chemists might be able to do it more quickly by synthesizing the material out of related substances using chemical processes. He would have been fascinated by the technology of DNA Origami. (You have to love the evocative name.) Scientists take long strands of DNA, and then add shorter strands, called staples, which bind to the long strands in specific places, folding them into predetermined shapes. Danish scientists at the Aarhus University Center for DNA Nanotechnology created a three dimensional box made out of DNA that features a lid that can be opened when a specific DNA strand is introduced as a key. 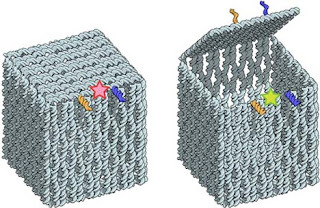 The technology may allow for targeted drug delivery, with the lid opening when sensing the presence of a particular pathogen. At the end of his talk Feynman issued two challenges, and promised a prize of $1,000 to the first person who could make a 1/64 inch electric motor, and a similar amount to the first person to reduce a page of type by a factor of 25,000 (the scale you need to get Britannica on the head of a pin). To Feynman's surprise, less than a year later, a Caltech engineer by the name of Bill McLellan walked into his office carrying a big box. Feynman thought this was yet another crank who hadn't understood the challenge. McLellan opened up his box to show a microscope and Feynman said "Uh-oh, nobody else brought a microscope." Feynman paid out the $1,000 but was disappointed that McLellan had built the motor using existing technology. Feynman had wanted his challenge to stimulate innovative technology. The other prize was more satisfying. It was 26 years before a Stanford University graduate student, Thomas Newman, reproduced the first page of Charles Dickens' novel, A Tale of Two Cities , on a page only 1/160 millimeter long (20 times smaller than the human eye can see), using electron beam lithography. Feynman was happy to pay that prize since it had stimulated new technology. a computer no bigger than a cube of 50 nanometers that can add two 8-bit numbers, and output the answer as raised nanometer-scale bumps on a level surface. Feynman would have loved it!